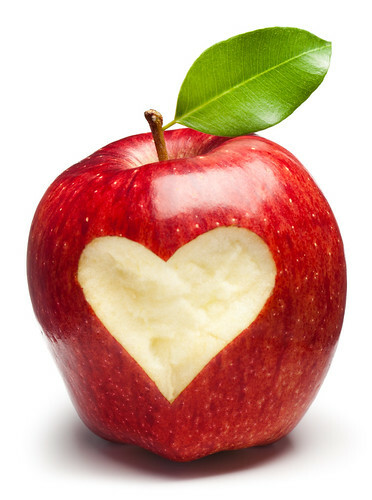 Cardiovascular disease is the number one killer of North Americans so anything that you can learn to prevent it is very important. 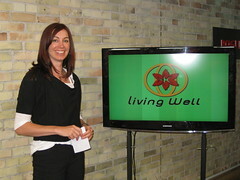 On this week’s episode of my television show Living Well, I chatted with Public Health Dietician Cathy MacPherson about nutrition and heart health. I also interviewed Ryan Meloche from Douglas Laboratories and Pure Encapsulations. We had so much to talk about with these two experts that today is part one on this topic. -Good news, evidence suggests that narrowing of the arteries can be slowed down by eating a healthy diet and enjoying an active, healthy lifestyle. What are some of the risk factors for cardiovascular disease? What are some of the warning signs of a heart attack? What are some of the stroke warning signs? Why is being overweight or obese is a risk factor? Since high blood fat is a risk factor, could you give us some ideas on how to keep them healthy? Keep your blood fat healthy by looking at the type of fat that you eat, and keeping the amounts of fat that you consume moderate (about 20-35% of energy from fat). Other than maintaining a healthy weight and healthy blood fats, is there anything else we need to keep in mind? -Beware of sugar found in beverages! You mentioned keeping a healthy weight is important, what are some key points to keep in mind to achieve this? What lifestyle strategies (other than nutrition) can prevent CVD? If you would like to contact Cathy, here is her information. Check back in on Thursday where we will continue this topic by reviewing my interview with Ryan Meloche from Douglas Laboratories and Pure Encapsulations about nutritional supplementation for a healthy heart. A very Happy Thanksgiving to you Peggy. Thank you for the wealth of valuable information that you share. You are an inspiration! Thanks for your comments Lucy! I hope you are yours had a lovely Thanksgiving weekend.